Have you ever heard of Evanescence, the Arkansas-originating metal band — when we say metal we mean more like the shiny substance melted over the buckle of a Hot Topic piano key belt — who brought us the 2003 classic, “Bring Me To Life”? I remember wailing this into my bedroom mirror, sobbing. And did you ever see that magic trick where one person — usually a dad — bends their finger, and then using highly technical illusions makes it look like they’re pulling off their finger from the knuckle? Well, luckily for us, both have combined in this digital age, like two phoenixes clasping wings and flying out of the ashes in sync. We shouldn’t be surprised. It’s only natural the two have joined to make a truly strange internet baby, as they’re perfectly vintage. They also both tap into distinct subcultures — goths and dads — making them ripe and ready for the meme-picking. 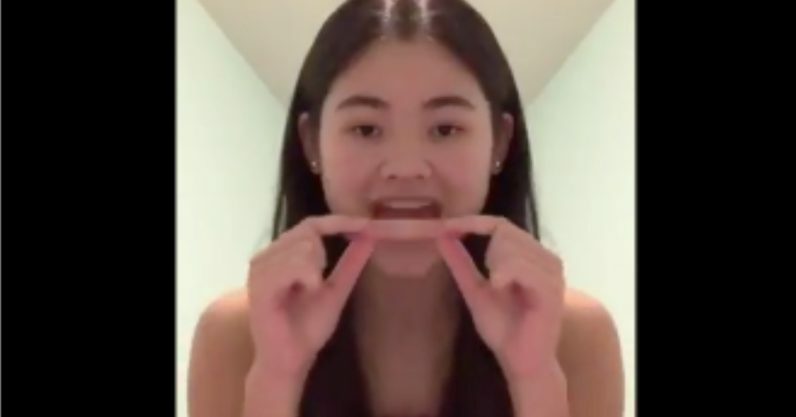 Users of TikTok — the short-form video app teens are using to cope with the death of Vine — are “eating” their fingers to the early 2000’s angsty emo classic. Well, the Kidz Bop version of it anyway. There’s something eery about hearing an angry kid anthem performed by possibly-medicated, happy kids. Why this masochistically cannibal move with this particular version of this particular song? Is this the new Tide Pods? Will our future be ruled by a generation of fingerless, angsty adults? Are the kids alright? Who knows. But it’s a weird internet thing and you should know about it.